I finally get fed up with the hair, bugs, eye lashes, and various toxic waste that had been building up in my Saitek keyboard for the past–decades?? ?—and tossed it. Now I’m in the market for a new one, and preferably sooner–the silly HP Wireless thing I’m using right now came with my PC and doesn’t even have real keys to type on. UGH! I’ve been looking at various “gamer” keyboards on Amazon. This category seems to indicate it (a) looks cool, usually with some kind of backlighting, (b) has some kind of macro system with dedicated keys, (c) has really fast response even when pressing multiple keys, and (d) some tactile and/or visible way to help you get back to WASD or the arrow keys if you’re in the dark. They also tend to be substantially more expensive than the normal keyboards (these are all near or over the $100 price point). I’m ambivalent at this point about lighting. I guess the idea with these is that they look cool and, hopefully at least in some situations, the lighting would help you see which keys actually did something in a game. As far as just having all the keys lit at all time–don’t need it, really (I’ve been a touch typist since I was 16). I did notice a few keyboards where the WASD keys were textured to help you find them in the dark. I liked that idea at first, but then started wondering if it’d just get annoying when you’re doing anything else with your keyboard. What would be insanely useful is if the keys would change from letters to show a little icon of what they did in the game–say the spells in WOW or a little grenade for a first-person shooter. I haven’t seen anything like that. I suppose the technology of making each key basically a little screen is just beyond us at the moment. I also saw one keyboard (I believe it was a Logitech) that had a switch you could toggle to de-activate the Windows keys. That would actually be very useful for me, since I’m always accidentally hittig those on my way to CTRL, ALT, or even SHIFT (particularly after a few ales). It’s irritating indeed to be knocked back to Windows desktop in the middle of a battle or raid. Finally, I’ve noticed several Logitech keyboards with their own screens. While this is certainly intriguing, I’m not quite sold on it. It seems to me that any useful info that could be displayed on that could just as easily be displayed on the monitor, a secondary monitor, or, perhaps, streamed to a smartphone or tablet. In short, I don’t see any reason why such a thing is needed on a keyboard. That leaves the various macro functions. Do I need a separate row (or two) of buttons for macros? Do I need a keyboard with its own software for this purpose? I’m trying to think of situations where that’d be useful, but sadly not coming up with any. Most games I play that are sophisticated enough to benefit from macros have them built-in and assignable to whatever key I want. Having dedicated keys might be nice, but it’s just not standing out as a must-have feature at this point. At any rate, I’ve been looking very hard at these three. Let me know your thoughts, or if you have another model you think would be better. Unfortunately, I don’t live in an area where I can go try out keyboards (we have a Best Buy, but I doubt they have an extensive selection). I can, however, always send it back if I just hate it. This first option ($95) seems to have a nice set of options, and the reviews are fairly convincing. I like that you can set the WASD and arrow keys to different colors. It seems these switches are also the best for me–tactile but not noisy (I don’t particularly want a clack attack if I need to type something during an interview). Logitech G510 with LCD screen. The second option has the supposedly nifty LCD screen and a lot of programmable macro buttons. You can also change the colors, but as far as I can tell, not assign unique colors to individual keys (which would actually be useful). On the negative side, this one has the cheaper “rubber dome” technology. At $90, I’m really just not sold on that combination. This bad boy from Razer certainly nails the aesthetics. That color just seems ominously cool to me. It also has “individually backlit keys” so, I assume, the lighting is more consistent. Supposedly, it’s the first keyboard with mechanical switches designed specifically for gaming. It’s $120, but probably worth it. This $112 model from Corsair comes in three switch variations (Blue, Brown, or Red) and key-by-key custom backlighting. This could be useful, especially in games with lots of important keys. Unfortunately, you can’t make them different colors, but at least you can dim the ones you won’t be using. It also has the contoured, textured WASD keys. I’m still wondering if that would just annoy the fire out of you when you’re typing instead of playing an FPS. There are plenty of runners up, such as the models from SteelSeries, and of course the heftier Logiteches including the G19 (which also has the rubber dome tech instead of fully mechanical switches). At this point, I’m willing to spend more money on good mechanics than flashy tech. I also want something durable and that’s not going to be obsolete in five years. This entry was posted in general on September 1, 2014 by Matt Barton. I recently went through this myself, and it can be nerve wracking choosing the right switches. I was looking for something with a relatively small footprint (Saitek’s flared corners always have bothered me), no macro keys, no screen, lighting optional. Ultimately I decided on Cherry MX Reds and absolutely love the keyboard that I decided upon (Leopold full size). The biggest issue will be deciding upon the switches. You may or may not be aware of this item: http://www.cmstore-usa.com/mechanical-key-switch-demo-board/ If you decide to buy a keyboard from them they will reimburse you for the cost of this demo board. I’m sure other places do this or something very similar. I’ve been burned by Razer products in the past, so I steered clear of them (the Razer Lycosa could possibly have been the worst keyboard I’ve ever used, and everything they sell seems to be overpriced vs the competition). I generally don’t like anything Logitech except for their mice, and they seem fond of all the extra garbage (lights, screens, macro keys). At the time I was shopping around the Rosewill keyboards had issues with the USB connector failing due to poor soldering, and Cooler Master had issues with certain keys being DOA what appeared to be more than failed switches (many users reporting the same grouping of keys not working). So what you most likely would want would be a mechanical backlit, with Blues or Browns. Don’t get anything with blacks(Stiff) or reds(loose)( These are the mechanical switches not color). Blues have the loud click and clack sound, that’s fun to type on, but loud. I have a Das with Blues. They are not back-lit, but are very high quality keyboards. http://www.daskeyboard.com/daskeyboard-4-professional/ . Right now I’m using a Ducky Shine 3, with browns. It is back-lit, and has all sorts of other functions, but nothing like macros keys for gaming (I personally find them useless). https://www.youtube.com/watch?v=gFWR8r5sdWY Out of the ones you listed I would chose the Rosewell because of the switches. Personally I would highly recommend a mechanical keyboard. Do your research and definitely talk to people about it. Those das keyboards definitely look great. I’ve heard of them before. While I don’t necessarily need a blank keyboard, I kinda like having them anyway. Fortunately, I found several models with laser-etched keys. The only downside is price. $170! Whoa. That’s a princely sum for a keyboard. So, there’s my 2 cents. There’s actually no need to throw away a working keyboard just because it’s dirty. You can take it apart and put the key caps and the case in the dishwasher. Let them dry, put everything back together and you have a shiny new keyboard. The back lit WASD does make typing a bit more cumbersome. Most people do use the same hand positioning. I am not a fan of back lit anyways, it can hurt the eyes after a while. 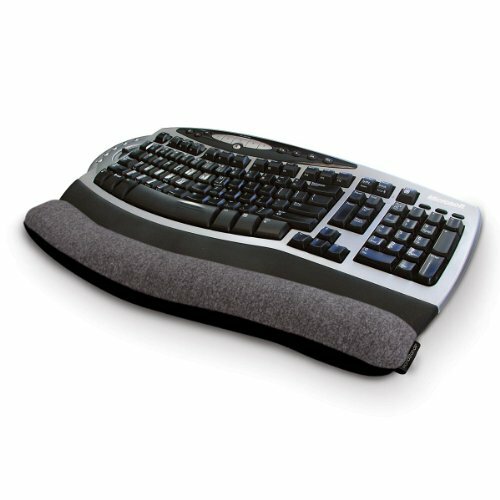 Personally hate the fixed wrist rest that the newer keyboards try to really utilize. And the slim chicklets. Not a fan of those. Gotta love those macro progs my self. For MMOs. When looking for a keyboard I like the red or any different color arrows and WASD. Am I the only one that still uses the arrow keys in games? I always go to options and set the movement keys to the arrows. The only games I used the WASD(GE) is Grimrock and MMX. Thanks, Clark. I don’t know if even the 20% discount will be cheaper than Amazon with free shipping, but I’m hoping. It’s worth a shot!